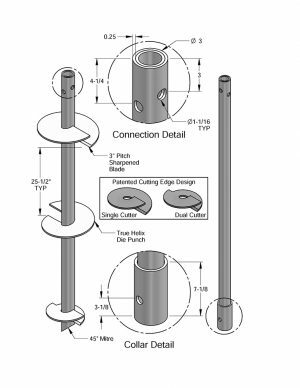 MAGNUM® MH939B Screw Pile Leads have 252 tons ultimate and 126 tons allowable capacity in compression and tension. Lead sections and extensions couple together to reach the desired bearing stratum. Round shafts offer increased lateral and buckling resistance compared to solid square shafts. Capacity shown is based on minimum design lifespan of 75 years for most soil conditions. Patented Magnum Dual-Cutting Edge helical bearing plates (DCE) enhance penetration through dense soils with occassional cobbles and debris. 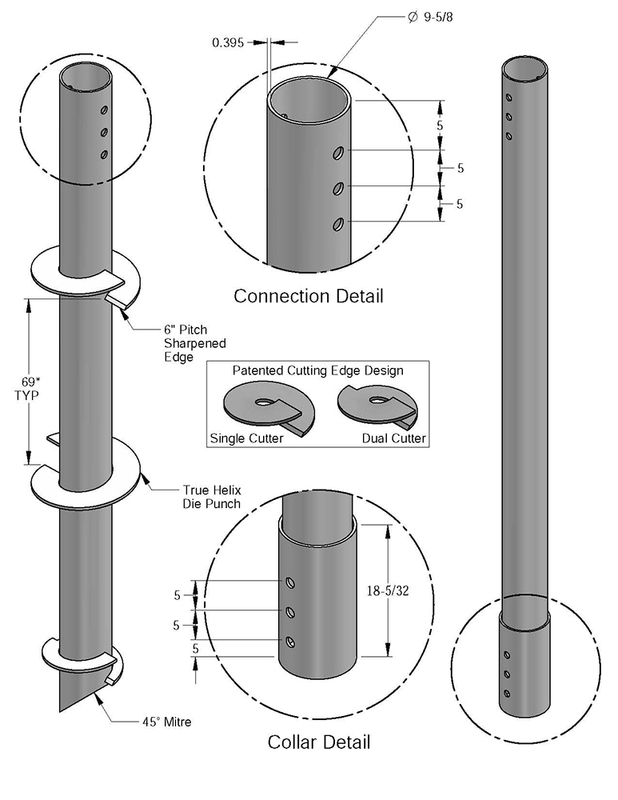 Custom lengths and helix configurations are available upon request. 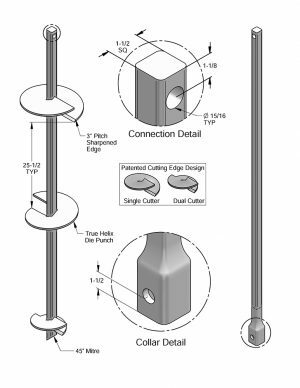 See Magnum® Catalog and Magnum® Design Tools for additional information including sizing calculators, prescriptive specifications, and example plans. Capacity in soil and bedrock can be verified by installation torque correlations. See installation and design resources for more information.